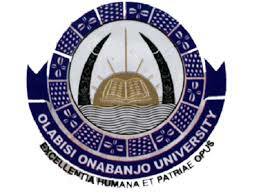 Olabisi Onabanjo University Ago-Iwoye [OOU] Freshers/Newly Admitted Students Medical Screening Registration Dates, Time and Venue for 2018/2019 Academic Session. This is to inform all fresh students of the Olabisi Onabanjo University Ago-Iwoye that the 2018/2019 Medical Registration exercise official kicks off on 23rd September, 2018. All newly admitted student are expected to make the necessary payments online and then proceed to the clinic based on date they're scheduled to be there. NOTE THAT FAILURE TO MEET UP WITH CLINIC REGISTRATION SCHEDULE ATTRACTS A FINE OF #1, 000.00.